Who is your favorite wild thing? Max: Hey, Claire. Wanna see something great? Claire: [on the phone] Who else was there? Max: It's an igloo! I made it. Claire: I can't. We're supposed to go to my dad's that weekend. Max: The snowplows left some snow across the street, and I dug a hole into it. Claire: Go and play with your friends. Q: What is the song that plays in all of the trailers? Q: What song plays when the creatures are building their new fort with Max? Q: Is "Where the Wild Things Are" based on a book? 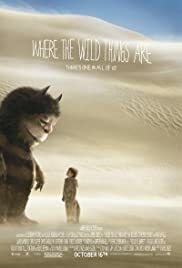 Where the Wild Things Are, one of the most beloved children's books, comes to the big screen in one of the most highly anticipated films of the year. Spike Jonze, the man responsible for Being John Malcovich, Adaptation, and several Beastie Boys music videos including "Sabotage", brings the tale to life. I must admit, I have been anxiously awaiting this film for several months, something I don't like to do too often as it sets up for a potential major let down. Well, that didn't happen this time. We follow Max (Max Records), a boy who is lonely and misunderstood. His sister doesn't pay attention to him, his mother is busy with work and her boyfriend, and he has worries at school. All he wants is attention and to belong. One night, he finally breaks and runs away. He makes his way to the woods and to the waters edge. There he finds a small boat and set out on the open sea, leaving everything behind him. He comes across an island and goes ashore. There he finds a group of monsters in turmoil. Max seizes his opportunity and confronts the group. He tells them that he is a great king and help them solve their problems. I don't want to give too much of the story away because I feel like telling it would ruin some of the magic. This is one of the most visually pleasing films I have seen in a long time. Jonze filmed in Australia. We are given vivid landscapes of lush forests, arid deserts, and beautiful shorelines, culminating in an almost Lord of the Rings like experience. These spectacular settings would rarely be beaten in magnificence in another film, but here they come second to the unbelievable special effects used for the monsters. There are seven monsters on the island. Carol, Ira, Judith, KW, Douglas, Alexander, and The Bull. They all have unique features and are of massive size. Jonze could have gone two ways here. 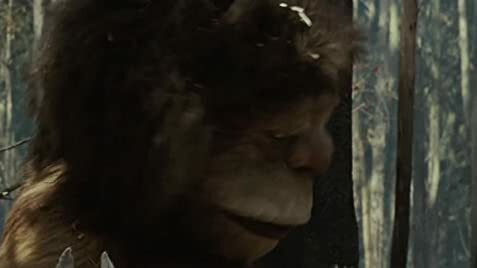 He could have completely made them all CG or he could have gone Jim Henson and turned them into Muppets. Instead, he carved a third path and combined the other two options. Max is able to interact extremely well with the gigantic puppet/suits, but the faces are edited with computer graphics, giving them startlingly realistic features and expressions. Making these monsters any different way would have been disastrous. Another key aspect of the monsters is giving them a voice. Jonze chose excellent voice actors with James Gandolfini, Forrest Whitaker, Catherine O'Hara, Lauren Ambrose, Paul Dano, and Chris Cooper. They each have their own personality that compliments their physical and emotional characteristics. Aside from the monsters, I was very impressed with Max. He is asked to do a very demanding thing: be a kid. That sounds easy, but it is very easily messed up. I'm interested in finding out how much freedom Jonze gave Records in certain scenes that called for him to go "wild". I can imagine directing young actors is not the easiest thing to do, but sometimes you catch a break when you get a talented one. Giving life to these characters is a spectacular screenplay by Jonze and Dave Eggers (who wrote Away We Go). Their writing speaks to both kids and adults, using language that is meaningful and easy to understand. The things Max goes through every child feels growing up: loneliness, fear, belonging, etc. There is so much to love about this movie. It speaks to the heart. But before you head out with the whole family, heed this warning. Some parts of this film might be too intense for younger audience members. Certain scene involving the monsters might be a bit too overwhelming. Yes, these monsters are friendly, but they are monsters, meaning they are large, intimidating, and somewhat scary. Where the Wild Things Are will satisfy, entertain, and open your eyes. Spike Jonze poured everything he had into this film and the wait was well worth it. I hope you will fall under its spell just as I did. 96 of 161 people found this review helpful. Was this review helpful to you?